We will launch our new project during a special session of the IBS and the World Bank Conference „Globalization, work, and distributional tensions in Europe and Central Asia”. 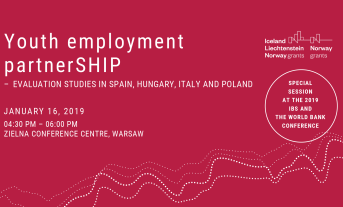 We will present the newest research on youth employment in the European labour market - focusing on, among others, traps of being a temp in Italy, the impact of a minimum income scheme in Spain, as well as flexible hours for young mothers. “Youth Employment PartnerSHIP” aims to evaluate employment initiatives targeting youth in Spain, Hungary, Italy and Poland. You can learn more about the project here. 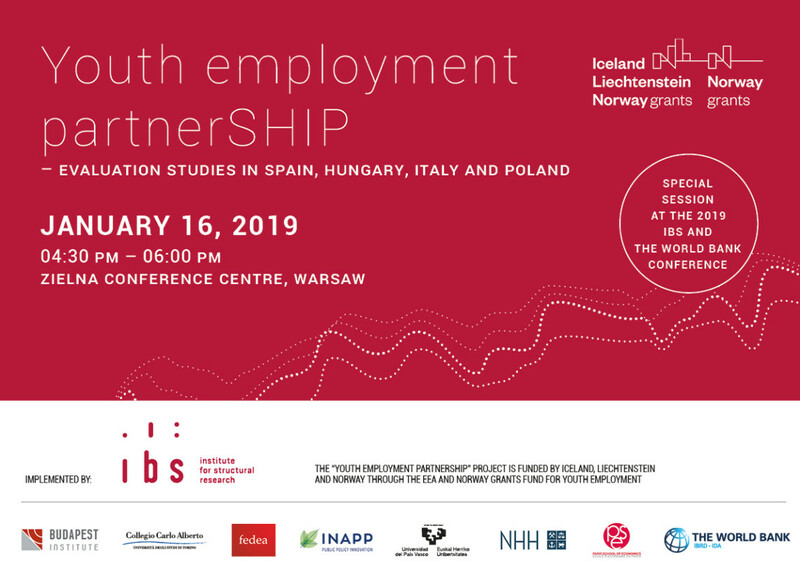 The „Youth employment partnerSHIP - evaluation studies in Spain, Hungary, Italy and Poland” project benefits from 1,8 million € grant from Iceland, Liechtenstein and Norway through the EEA and Norway Grants Fund for Youth Employment. The Fund supports international project initiatives that promote sustainable and quality youth employment in Europe.